What exactly does it mean when people tell you that you should adopt a dog? After all you didn’t give birth to the dog, so isn’t any dog you bring into your home adopted? In the pet world, the term “adopted” has come to mean a dog, cat, or any pet that is not purchased through a breeder or pet store but rather “adopted” from a rescue organization. “Rescue” is another term that confuses people. A rescue dog or cat, and often other small animals, have either been found as strays, or surrendered by an owner that no longer wants to keep the pet. The late Gill Dalley, one of the amazing co-founders of the Soi Dog Foundation. Another category of rescue pets are those animals, usually dogs, who have been rescued in Asia from becoming meat on someone’s dinner plate. Unfortunately the practice of eating dog meat is still quite popular in many parts of Asia. However, a number of organizations are working to rescue dogs from this fate and get them adopted to families throughout the world. 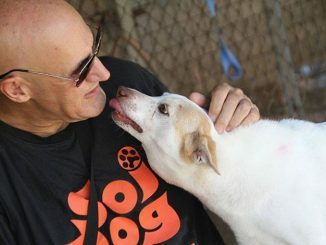 One such organization is Soi Dog Foundation. To read more about Soi Dog’s efforts to fight the dog meat trade, click here. Unfortunately in North America and around the world, many strays and surrendered pets are euthanized within the shelter system, which is often government run. According to the Canadian Federation of Humane Societies, approximately 18,000 dog and cats were euthanized in Canada in 2015. That figure is even higher in the U.S. Rescue organizations, commonly called “Rescues,” are run quite differently than shelters. Rescues are almost always run by volunteers, never euthanize unless for medical reasons, and do not have an actual shelter facility. They use foster parents to care for pets until they find their forever home. As a foster parent myself, I can tell you it is one of the most rewarding things you can do as a pet lover. The foster parent is provided with all the food and vet care that is needed for their foster. Many Rescues often also provide beds, crates, leashes, and other necessary items. All that is asked of the foster parent is to give the pet a loving and nurturing environment. 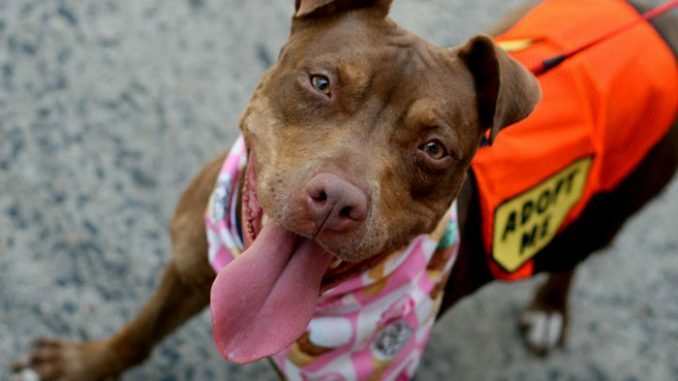 Unfortunately, there are many misconceptions about rescue animals, especially dogs. Many pets have already come from loving homes, and just need to find a new place to live. Some of the rescued pets may need some medical care and some extra TLC, but the Rescue will evaluate them and place them with an appropriate foster parent. That foster parent can then do some more evaluation and pass on information about the pet to potential adopters. The majority of these animals have no medical or behavioural issues and make perfect pets. Check out a rescue today! 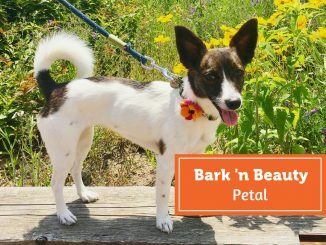 Not all Rescues are created equal so it is best to do some research online and check out the reputation of any Rescue you might be looking at. A good Rescue will have you fill out an application, check references, do a home visit and make sure that if you have any pets, they get to meet the potential new pet before final papers are signed. 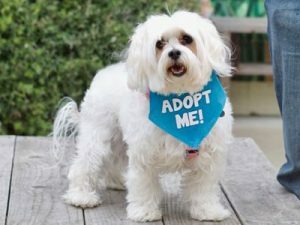 Most Rescues will have an adoption fee which covers all their out of pocket expenses related to their organization, e.g. transportation, spaying and neutering, other vet bills, and supplies. A good place to start looking for a rescue animal is Adopt-a-Pet.com. Opinions expressed in this article are opinions of the writer and not necessarily those of Bark ‘n Yapp. Girl Brings Her Service Dog to Prom! I have adopted in the past, a Husky/Shepherd/Wolf; an Australian Shepherd; bought a purebred German Shepherd and adopted now a mixed breed puppy and I love them all.